Forty-two homeless New York City youths are starting school this week with all-new backpacks and supplies, courtesy of Raich Ende Malter’s charitable/volunteer committee, REM-Co Cares. Patrycja Leszczynski tries a backpack on for size. REM-Co Cares received word about the “Project: Back to School” drive through an email from Coalition for the Homeless, a not-for-profit focused on providing food, clothing, shelter, and many other services to the homeless. While the deadline was closer than expected (less than two weeks until school started! ), REM employees jumped on board and immediately began gathering supplies and donations. Suzanne Anderson and Joan Cardona of REM’s Broadway office asked Coalition for the Homeless to extend the deadline slightly, and not only were they happy to oblige, they volunteered to visit the Broadway office to pick up the supplies. Amanda Rinaldo and Mike Meilak fill backpacks. 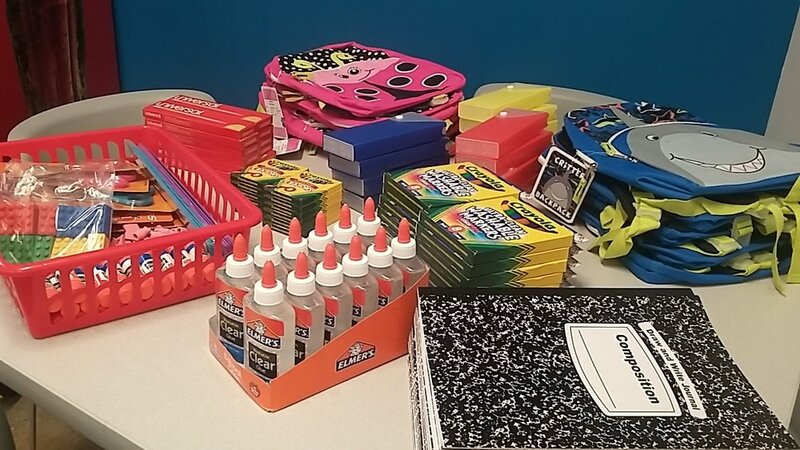 All three REM offices contributed to the effort, with employees purchasing supplies themselves or making monetary donations to help purchase supplies and backpacks in bulk. Even REM’s office suppliers, Weeks Lerman and Huntington Business Products Centre, donated some items after Managing Partner Ellis Ende suggested the idea. All supplies gathered in Long Island and New Jersey were shipped to New York City. On the day of collection, Joan began preparing backpacks, which were divided by grade level. 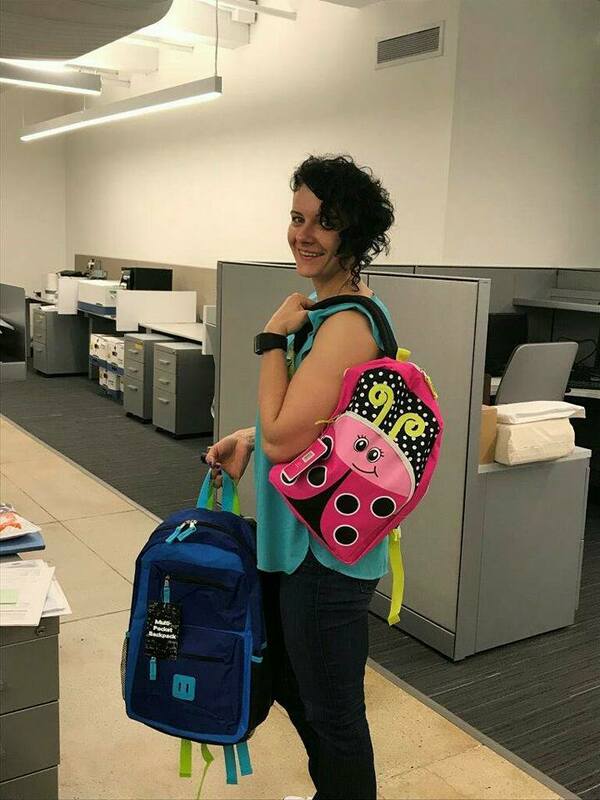 Throughout the day, REM employees helped fill backpacks with school supplies, ranging from calculators to pencils and crayons to notebooks and binders. Ultimately, 42 were completed – 16 for early year students, 8 for elementary schoolers, 9 for middle schoolers, and 9 for high schoolers. In addition, REM stuffed another four boxes with extra school supplies. On September 5, Coalition for the Homeless picked up the completed backpacks and supply boxes from REM’s New York City office. The Coalition is distributing the backpacks and supplies this week to children in need in New York City. Suzanne, Joan, and Sherry are on board to continue collecting school supplies for next year (hopefully on a less rushed schedule). Joan even plans to bake cookies to serve while employees stuff backpacks. Thank you to all who donated to Project: Back to School. You helped make a difficult time a little easier for these kids.